The 2018 Nissan Rogue is a spacious and family-friendly SUV that can power all of your adventures near and far. 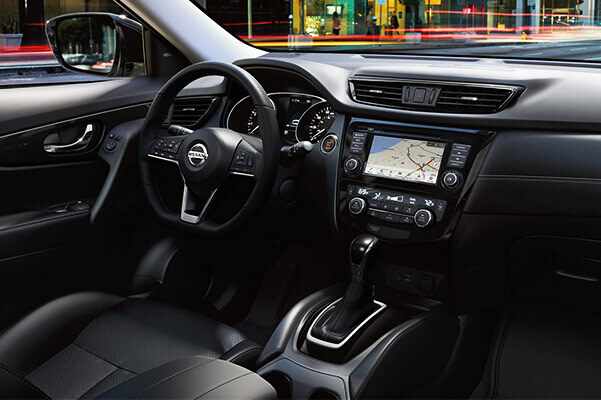 The fuel-efficient Nissan Rogue offers a bevy of impressive technologies and comfort features, and when compared to the competition it easily rises above the rest. Compare the 2018 Nissan Rogue to the Hyundai Tucson, Honda CR-V and Toyota RAV4 and see why you should take a Nissan Rogue test-drive at our Nissan dealership in Toledo, OH. The capacious cabin of the 2018 Nissan Rogue features the class-exclusive Divide-N-Hide® Cargo System, which offers up to 70 cubic feet of cargo space, making this the perfect vehicle for camping trips and weekend getaways. The new Rogue SUV offers more cargo space than what's available in the 2018 Hyundai Tucson, and you'll be able to enjoy eco-friendly savings through every mile, as this SUV can return up to 33 highway mpg. In fact, the Nissan Rogue is more fuel efficient than the Honda CR-V, Hyundai Tucson and Toyota RAV4. Plus, for added traction when conquering inclement weather, you can upgrade to include the available Intelligent All-Wheel Drive system. 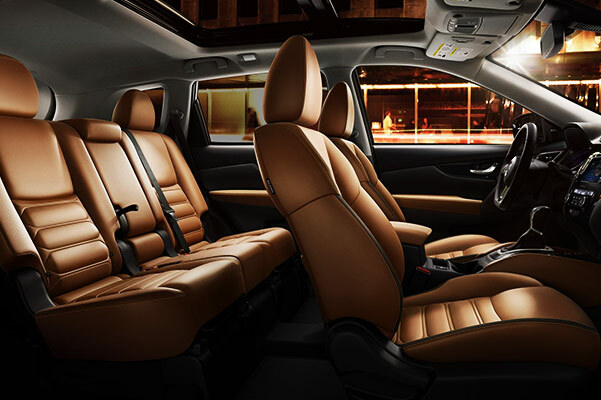 Inside the 2018 Nissan Rogue, you can easily configure your cabin thanks to the EZ FLEX™ Seating System with 2nd-row split folding/sliding/reclining capabilities. Bluetooth® wireless technology allows you to remain effortlessly connected, and for a touch of sophistication you can upgrade to Quick Comfort® heated front seats. Continue comparing the 2018 Nissan Rogue to the Hyundai Tucson, Toyota RAV4 and Honda CR-V to see why you should finance the Rogue today. Take a Nissan Rogue test-drive at Yark Nissan to experience everything this fuel-efficient SUV has to offer.